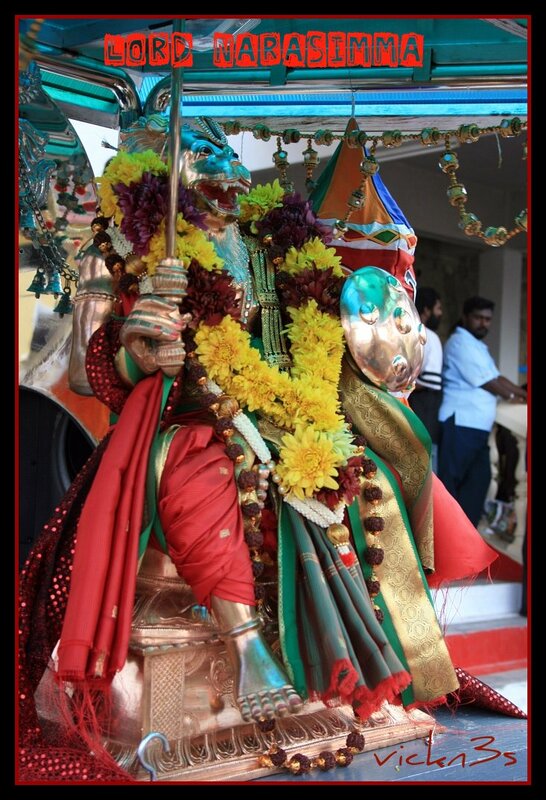 Nava means 9 and raathri means night in sanskrit, its a hindu celebration which will be held for 9 consecutive days. Navaratri is divided into sets of three days to adore different aspects of the supreme goddess. On the first three days, the Mother is invoked as powerful force called Durga in order to destroy all our impurities, vices and defects. 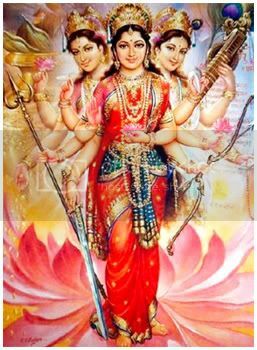 The next three days, the Mother is adored as a giver of spiritual wealth, Lakshmi, who is considered to have the power of bestowing on her devotees the inexhaustible wealth. The final set of three days is spent in worshipping the mother as the goddess of wisdom, Saraswati. In order have all-round success in life, we need the blessings of all three aspects of the divine mother; hence, the worship for nine nights. Even the chinese or taoism has nine days celebrations for their god as well, its call jiu wang yeh in mandarin and kow wong yeh in cantonese. Actually i thought of writing up a blog about each and everyday about the celebration and meanings of the days but when i googled it, i found too much of info here , here, here and many more here, so i dropped the idea since my readers might get bored of me being acting religious. Guys, I’m not religious or superstitious, but i do have my own religion and at the same time i respect the atheist, because I believe everyone has got their own reason of believing into something. Believing in not believing in god is also a belief, agree? Am i confusing? Sorry if i did, lolz. Why am i saying it, because i was mistaken as a MR HOLY wannabe here. 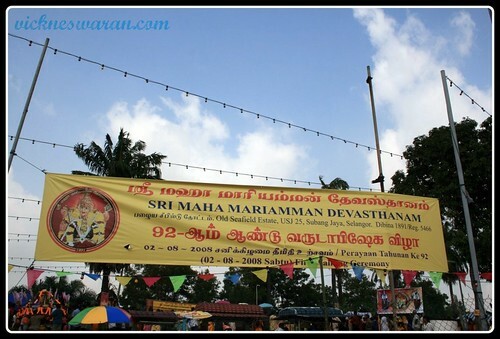 Hmmm, last year navaraathri i was in India and the celebration was damn nice but this year here, miss it big time where you can see the vehicles will be tied with banana trees, you read it right, its banana trees as a part of rituals, haha. I shall upload it if remember. I was back to my “real” home town for the weekend in conjunction with the temple festival that gonna held here. Triang, a small “cowboy” town in southern Pahang where the majorities are Chinese and followed by Malays and Indians. I was brought up here where I would call home although from the aspect of infrastructures, Triang are way backward compare to the place i live now. 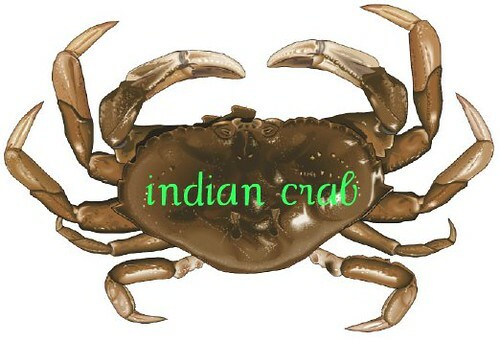 As an Indian who went to mandarin medium school in the area where Chinese are majority, I was never been discriminated as an Indian. I was always treated equally among my friends and the same happen when i moved on to secondary, always I’ll be seen hanging around with my “ah beng” buddies around, playing the so called Chinese conquered games like table tennis, badminton and mainly, basketball where i was the only real black sheep in the school team. The continuation from the thiruvila pictures. This part has more violent or 18SG kind of photographs whereby you will see those piercing similar like Rangarajan Nambi got in Dasavatharam.